Thanks so much to Stephanie Sorrel for this incredible review! It means so much to me that my book hit home for her and many others! 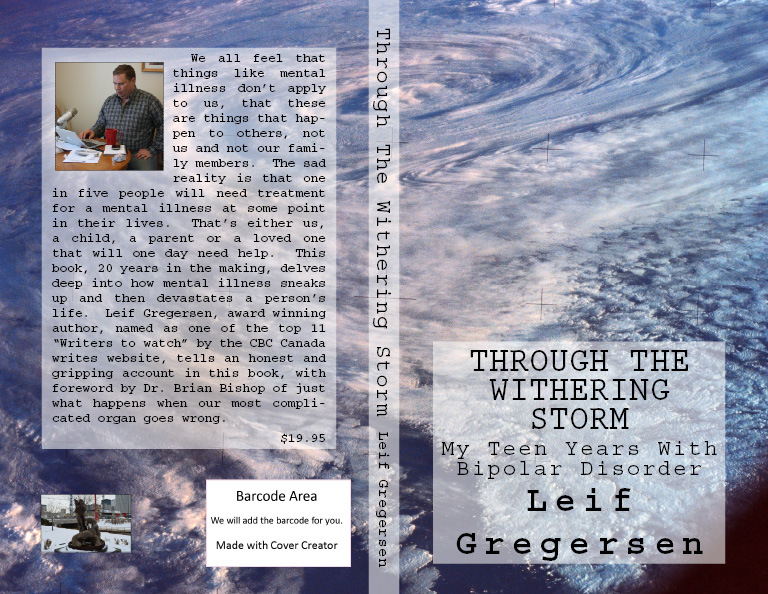 The Canadian author, Leif has written a searingly honest portrayal of his struggle with bipolar disorder from the ages of 14-20 years old. His writing is both intelligent and erudite and, despite his landing in psychiatric institutions throughout these years for reckless and sometimes violent behaviour, his descriptions are reflective rather than condemning. Set in the1980s, the lack of understanding of his condition was far from it is now. I was struck by his sheer determination and persistence Leif had at holding down a job, despite being mentally and emotionally destabalised by his condition. Although his burning ambition is to be an air cadet and most of the time gets brilliant marks in his studies, his honesty in admitting he has an illness lets him down. His jobs range from being a truck driver, to delivering pizzas, working in garages, stacking shelves and I found myself admiring his sheer determination and will in the midst of a corrosive illness. In short, Leif never gives up, at least not without a fight. Ofter being locked in a room for a 100 days in some hellish psychiatric institution in the 1980s he reveals the stigma that has been around for sufferers of mental health where the one who is ill finds themselves further demoralised by people who are supposed to help him and instead, give the wrong medications which exacerbate the condition. Finally he finds a drug, Depekote, that not only works for him but returns him to normality and learns how absolutely vital it is to get the right medication. Leif’s mission is to bring awareness to bipolar disorder by educating people about it. His life experience has served him well:education is absolutely paramount for the right treatment of bipolar disorder or any mental illness. And by his work, Leif has lit a torch to carry forward into the world.